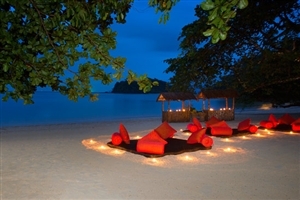 Fringed by the pristine sands of its own private beach and tucked into acres of lush tropical foliage, The Andaman enjoys a privileged location that will make your dream Langkawi holiday a reality. 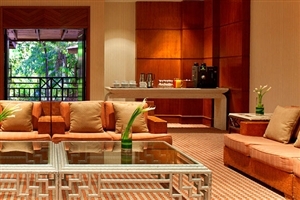 Comprising of 178 guestrooms and suites, The Andaman Resort seamlessly blends traditional Malay design touches with modern amenities to create a sophisticated setting from which to enjoy your stay. 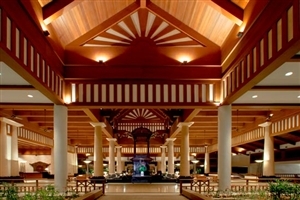 Among the superb facilities at The Andaman Resort are a relaxing on-site spa, an array of tempting watersports and five fabulous bars/restaurants. 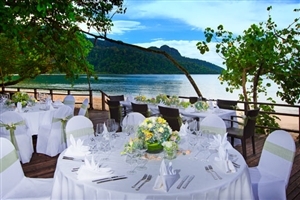 Set behind a private sandy beach and tucked into lush rainforest greenery, The Andaman Resort is a tropical Langkawi haven. 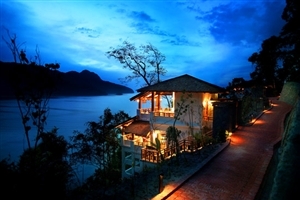 Enveloped by the Mat Cincang Range around it, The Andaman Resort is a breathtaking resort that combines modern touches with traditional Malay architecture and themes. The Andaman Resort offers 178 traditional guestrooms and suites and boasts superb facilities to make your stay as enjoyable as it will be comfortable, with everything from a relaxing spa to thrilling watersports. 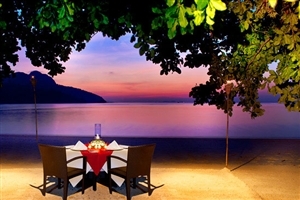 An ideal retreat for those wishing to relax on their dream Langkawi holiday, The Andaman Resort reflects the beauty around it to ensure your visit will be forever memorable. 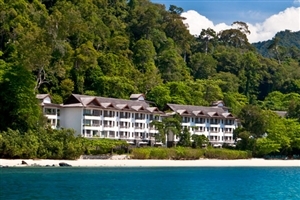 The Andaman Resort is 40 minutes from Langkawi International Airport. The Deluxe Rainforest Room at The Andaman offers 43sqm of accommodation space in an intimate rainforest location, complete with a rainforest shower and bathtub. The Deluxe Treetops Rooms at The Andaman offers 43sqm of accommodation space and is located so guests can enjoy pleasant views over the rainforest tree tops. 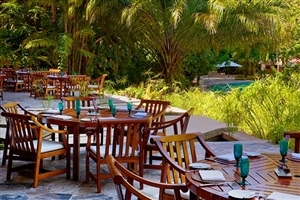 The Luxury Garden Terrace rooms at The Andaman offer 43sqm of accommodation space a private 27sqm tropical garden with a sun lounger and stunning rainforest views. 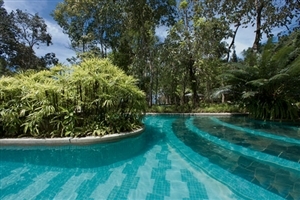 The Luxury Pool Access rooms at The Andaman offer 43sqm of accommodation space and feature a secluded, personal 13sqm pool deck from which to access an exclusive rainforest swimming pool. 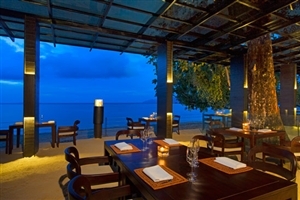 The Luxury Seaview rooms at The Andaman offer 43sqm of accommodation space with a private balcony overlooking the stunning Andaman Sea. Features also include a separate rainforest shower and bathtub. 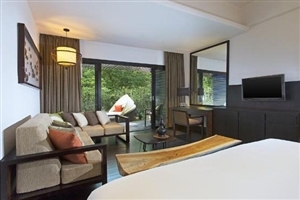 The Jacuzzi Studio Suite at The Andaman offers a 24sqm outdoor area, complete with a covered terrace, a seating area, a peaceful garden and a sumptuous Jacuzzi. 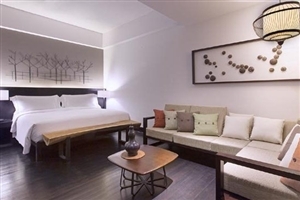 The Executive Suite at The Andaman offers 86sqm of accommodation space and comprises of a separate bedroom and living area, plus a guest bathroom and a dining area. The Executive Sea View Suite at The Andaman offers 86sqm of accommodation space and comprises of a separate bedroom and living area, plus a guest bathroom and a dining area. 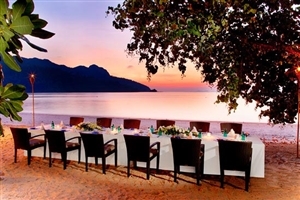 This Suite is also endowed with stunning Andaman Sea views. 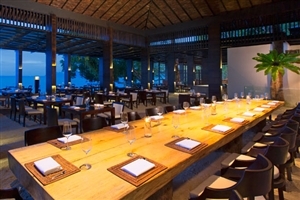 Japanese Restaurant – Authentic Japanese cuisine, this restaurant serves the finest in sushi, sashimi and tempura from personal Teppanyaki stations. 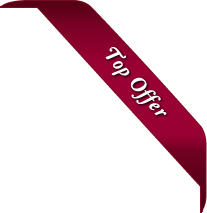 Tatami rooms are also available. 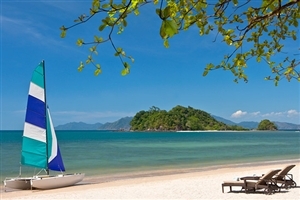 The Andaman Resort boasts excellent facilities, offering a wide range of appealing activities, including sport, spa treatments and also the chance to explore the rich beauty of Langkawi with an excursion.